Per his military service record (Depot), Frederick Dudley William Sindel was born at Nowra, N.S.W. He signed his name as Fred Sindel. He gave his age as 21 years and 8 months, his marital status as single, and his occupation as potter. His description on his Certificate of medical examination was height 5 feet 6 inches tall, weight 10 stone, with a dark complexion, brown eyes, and dark hair. His religious denomination was Church of England. He claimed that he had previous military service in the 29 Infantry Liverpool. He gave his postal address as Harrison Street, Ultimo, on his initial Application to Enlist in the Australian Imperial Force form. His next of kin on his Attestation Paper was listed his brother, William Sindel, Dargan Street, Glebe, N.S.W. “Ned Sindel” was reported as having joined the Coo-ees in Blayney in The Bathurst Times on 28th October 1915. He completed his medical examination, and was attested by Captain A. C. Eade, at Blayney on 27th October 1915 (the day the Coo-ees marched from Blayney to Bathampton). Private Sindel went absent without leave on 27th and 31st January 1916, and also the 1st of February 1916. The discharge paper in his file records that on 18th February 1916 Private Sindel was discharged from the A.I.F. at his ‘wife’s request’. Per his military service record (Depot), John Williams was born at Orange, N.S.W. He gave his age as 33 years and 4 months, his marital status as widower, and his occupation as miner. His description on his Certificate of Medical Examination was 5 feet 6 inches tall, weight 8 stone 12 lbs., with a dark complexion, grey eyes, and brown hair. His religious denomination was Roman Catholic. He claimed that he had no previous military service. John Williams left from Gilgandra to join the Coo-ees. Dr Henry Peet signed the ‘Preliminary Medical Examination section’ on his initial Application to Enlist in the Australian Imperial Force form (addressed to the Recruiting Officer at Dubbo) at Gilgandra on 22nd October 1915. John Williams listed his postal address on this form as ‘Gilgandra’. A. H. Miller, Organising Secretary of the Gilgandra-Sydney route march, from the Gilgandra Recruiting Association, sent a telegram from Gilgandra to Major Wynne, Gilgandra Coo-ees, Orange, stating that he ‘forgot [to] send Williams medical papers sending today mail to Orange’. John Williams completed his medical examination, and was attested by Captain T. A. Nicholas, at Orange on 24th October 1915 (while the Coo-ees had a rest day at Orange). After the Coo-ee March he went into Liverpool Camp as reinforcement for the 13th Battalion. On 14th December 1915 Private Williams was charged with being absent without leave from 8th December 1915 till 14th December 1915. He was recommended to be discharged. On 15th December 1915 Private Williams was discharged not likely to become an efficient soldier. Telegram from A. H. Miller to Captain Wynne October 1915 in: Alex Halden (Joe) Miller papers mainly relating to the Gilgandra Coo-ee Recruitment March, New South Wales, 1912-1921, 1939. Gilgandra Coo-ee Recruitment March correspondence and papers, 1915-1939. Per his military service record (2320), Benjamin William Davis was born at Sydney, N.S.W. He gave his age as 18 years and 2 months (although it appears he was only about 16 ½ years of age at the time), his marital status as single, and his occupation as greengrocer. His description on his Certificate of Medical Examination was height 5 feet 3 inches tall, weight 8 stone 2 lbs., with a medium complexion, grey eyes, and black hair. His religious denomination was Roman Catholic. He claimed to have 18 months previous military service in the Senior Cadets. ‘B. W. Davis’ was named in The Blue Mountain Echo as one of the recruits who joined the Coo-ees at Katoomba. He completed his medical examination, and was attested by Lieutenant F. Middenway, on the 5th November 1915 at Katoomba. After completing the march he went to Liverpool Camp as reinforcement for the 6th Light Horse Regiment. Private Davis, along with several other local Coo-ees, including Privates Trow, Nimmo, Pettigrew, Perkins, Hayes, Duff, and Mason, was given a send-off at the Empire Theatre in Katoomba on Wednesday evening 15th December 1915, where Mayor James presented them with medals, and ‘spoke highly of the courage of the boys who marched away with the Coo-ees, and wished them every luck in the great fight they were undertaking’. On his embarkation roll his address at time of enrolment was “Eden” Leichardt Street, Katoomba N.S.W. His next of kin was listed as his father, B. W. Davis, at the same address. On 3rd May 1916 Privater Davis departed Sydney on the HMAT Hymettus A1, with the 16th reinforcements for the 6th Light Horse Regiment. On 22nd May 1916, whilst on the voyage to Egypt, Private Davis was charged with absenting himself without leave from all parades on 18th and 19th May 1916 and being a malingerer. He was awarded 120 hours detention. After arriving in Egypt, Trooper Davis was taken on strength of the 2nd Light Horse Training Regiment at Tel-el-Kebir on 27th June 1916. On 1st July 1916 Trooper Davis was admitted to the 2nd Australian Stationary Hospital sick. He was admitted to the 1st Australian Dermatological Hospital at Abbassia on 4th July 1916. He was discharged and returned to the 2nd Light Horse Training Regiment on 27th July 1916. On 5th August 1916 Trooper Davis was transferred to the 6th Light Horse Regiment at Tel-el-Kebir. On 14th January 1917 Trooper Davis was sent to the 2nd Australian Light Horse Field Ambulance for dental treatment. He returned to the Regiment on 15th January 1917. He served with the 6th Light Horse Regiment until 23rd March 1918, when Trooper Davis was sent to the 2nd Australian Light Horse Field Ambulance sick. On 24th March he was moved back to the 66th Casualty Clearing Station. On 25th March 1918 he was moved to the 76th Casualty Clearing Station. On 27th March 1918 he was admitted to the 43rd Stationary Hospital. On 28th March 1918 he was transferred to the 24th Stationary Hospital at Kantara. On 29th March he was admitted to the 2nd Australian Stationary Hospital at Moascar. On 19th April 1918 he was transferred to the 14th Australian General Hospital. On 26th April 1918 he was sent to a Rest Camp at Port Said. He was discharged on 15th May 1918 and sent to the 2nd Light Horse Training Regiment at Moascar. On 18th June 1918 Trooper Davis was charged with when on active service ‘he at Cairo on the 16th of June 1918 made use of a document purporting to be a genuine pass well knowing that the date thereon had been altered’, and also with being absent without leave from 0900 on 13th June 1918 till apprehended by the Military Police in Cairo at 0945 on 16th June 1918. He was fined 4 days pay and awarded 28 days Field Punishment No. 2. Trooper Davis re-joined the 6th Light Horse Regiment at Moascar on 25th July 1918. On 17th December 1918 Trooper Davis was admitted to the 78th General Hospital suffering Lupus Vulgaris. On the 18th of December 1918 he was transferred to the 44th Stationary Hospital at Kantara, then onto the 14th Australian General Hospital at Abbassia later that day. On 26th January 1919 Trooper Davis commenced his return to Australia from Suez aboard the HT Damosthenes for medical discharge. He arrived in Australia on 2nd March 1919. He was discharged medically unfit on 28th June 1919. NAA: B2455, DAVIS B W – Date of birth given as 14th April 1899 in a Statutory Declaration dated 19th May 1953. Australian War Memorial. First World War Embarkation Roll, Benjamin William Davis, HMAT Hymettus A1, 3rd May 1916. Per his military service record (Depot), Francis Birmingham Brown was born in Jerilderie, N.S.W. He gave his age as 44 years and 2 months, his marital status as single, and his occupation as labourer. His description on his Certificate of Medical Examination was height 5 feet 5 inches tall, weight 143 lbs., with a fair complexion, grey eyes, and ‘brown going grey’ hair. His religious denomination was Roman Catholic. He claimed to have 5 weeks previous military service at Rosehill in 1914 but was allowed to leave after he ‘complained’ that the ‘physical drill affected’ him. His next of kin was recorded on his Australian Imperial Force Attestation Paper of Persons Enlisted for Service Abroad form as Thomas Brown, Jerilderie N.S.W. He joined the Coo-ees at Wellington. He completed his medical examination at Wellington on 16th October 1915 (the day the Coo-ees arrived at Wellington). He was attested at by Captain T. A. Nicholas at Stuart Town on 20th October 1915 (the day the Coo-ees marched from Stuart Town to Euchareena). A warrant was issued for his arrest on 15th February 1916. The Wellington Times reported on 7th April 1919 that ‘the death took place this morning at Wellington Hospital of Francis Brown, at the age of 50 years’, and that ‘he joined the Coo-ees when they came through Wellington, but was afterwards discharged as medically unfit’. The warrant for his arrest was withdrawn on 30th January 1919. His record is stamped ‘Discharged prior to leaving Australia’. Per his military service record (regimental no. 2155), Alfred James Carr was born at Wellington, N.S.W. He gave his age as 25 years and 1 month, his marital status as single, and his occupation as labourer. His description on his Certificate of Medical Examination was height 5 feet 11 inches tall, weight 168 lbs., with a fair complexion, blue eyes, and dark brown hair. His religious denomination was Church of England. He claimed that he had no previous military service. He completed his medical examination at Wellington on 18th October 1915 (the day the Coo-ees marched from Wellington to Dripstone). He was attested by Captain T. A. Nicholas at Stuart Town on 19th October 1915 (the day the Coo-ees marched from Dripstone to Stuart Town). After completing the Coo-ee March he went to Liverpool Camp and joined the 15th reinforcements for the 6th Light Horse Regiment. On his embarkation roll his address at time of enrolment was Maughan Street, Wellington N.S.W. His next of kin was listed as his father, George Edward Carr, at the same address. On 22nd March 1916 Trooper Carr (along with fellow Coo-ees Troopers Condon, Kennedy and Sullivan) departed Sydney on the HMAT A4 Pera, with the 15th reinforcements for the 6th Light Horse Regiment. After arriving at Suez in Egypt, Trooper Carr was hospitalised suffering Mumps on 21st April 1916. He was discharged from the Government Hospital at Suez, and taken on strength of the 2nd Light Horse Training Regiment at Tel-el-Kebir on 26th April 1916. On 27th May 1916 Trooper Carr was admitted to the 3rd Australian General Hospital at Abbassia, Egypt, suffering Influenza. He rejoined the Training Regiment at Tel-el-Kebir on 13th June 1916. On 15th July 1916 he was taken on strength of the 12 Company of the 1st ANZAC Battalion of the Imperial Camel Corps Brigade at Abbassia. On 2nd August 1916 Trooper Car was admitted sick to the 1st Australian Dermatological Hospital at Abbasia. He was discharged from hospital on 8th August 1916. He was taken on strength of the No. 11 Company of the Imperial Camel Corps at Moghara on 17th August 1916. On 1st September 1916 Trooper Carr was admitted sick to the 17th General Hospital at Alexandria, Egypt. He was discharged from hospital on 11th December 1916. (Trooper Carr had been transferred to the 3rd ANZAC Battalion of the Imperial Camel Corps on 11th November 1916). On 15th December 1916 he marched out the No. 1 Company of the Imperial Camel Corps. On 24th March 1917 Trooper Carr was admitted to the 14th Australian General Hospital at Abbassia with septic sores on his left leg. He rejoined his unit on 17th June 1917. On the 1st of September 1917 Trooper CARR was admitted sick to the 26th Stationary Hospital at Ismailia, Egypt, with Herpes zoster [shingles]. He was discharge from hospital on 9th September 1917. He was posted to 1st Battalion Imperial Camel Corps, and joined No. 1 Company, on 21st September 1917. On 21st March 1918 Trooper Car went to hospital in the field sick. On 25th March 1918 he was admitted to the 14th Australian General Hospital at Port Said suffering from Psoriasis. He was discharged from hospital on 10th May 1918 and sent to a Rest Camp in Abbassia. He rejoined his unit on 31st May 1918. On 1st July 1918 Trooper Carr was transferred to the 14th Light Horse Regiment. On the 5th September 1918 Trooper Carr was admitted to the 14th Australian General Hospital at Port Said suffering a swollen groin. He was discharged from hospital on 25th November 1918 and sent to a Rest Camp. He was sent to Cairo on 28th November 1918, on 14 days leave. He returned to Port Said from leave on 13th December 1918. On 14th December 1918 Trooper Carr was admitted to the 2nd Australian Stationary Hospital sick. He was transferred to the 14th General Hospital at Abbassia on 3rd March 1919. He was discharged from hospital on 22nd March 1919. On 23rd of March 1919 Trooper Carr marched out with “Olden’s Force”, a contingent of 400 Australians led by Lieutenant-Colonel Olden, tasked with suppressing an Egyptian nationalist rebellion, which ‘moved up the Nile to engage a large rebel concentration at Bedrasheen’. On 8th April 1919 Trooper Carr was admitted to the 14th Australian General Hospital at Abbassia suffering from ulcers of the abdominal wall. He was discharged to a Rest Camp at Port Said on 17th April 1919. Trooper Carr departed Port Said, Egypt, aboard the H.T. Dorset on 29th April 1919, commencing his return to Australia for medical discharge (ulcers). He arrived in Australia on 11th June 1919. He was discharged medically unfit on 26th July 1919. Trooper A. J. Carr was one of a number of returned soldiers who was named in the Wellington Times on 27th November 1919, who were to be welcomed home to Wellington and presented with a gold medal. After a concert programme, over 200 gold medals were presented to local returned soldiers before a large crowd at the Skating Rink in Wellington on Wednesday night, 3rd December 1919. They then adjourned to the Oddfellows Hall for light refreshments, and dancing. Australia War Memorial. First World War Embarkation Roll, Alfred James Carr, HMAT Pera A4, 22nd March 1916. Note his address is misspelt as ‘Manghan’ Street. Ian Jones, ‘Olden, Arthur Charles (1881–1949)’, Australian Dictionary of Biography, National Centre of Biography, Australian National University, http://adb.anu.edu.au/biography/olden-arthur-charles-7899/text13735, published first in hardcopy 1988, accessed online 13 October 2018. Per his military service record (regimental no. 2253), James Taylor was born at Shadforth, N.S.W. He gave his age as 21 years and 4 months, his marital status as single, and his occupation as labourer. His description on his Certificate of Medical Examination was height 5 feet 5 inches tall, weight 10 stone 4 lbs., with a dark complexion, brown eyes, and brown hair. His religious denomination was Church of England. He claimed that he had no previous military service. The Wellington Times named ‘James Taylor, son of Mr. Taylor, of the cyanide works’ as one of six recruits who ‘handed in their names’ after a recruiting address was given at Bodangora by Private W. J. Johnson (who was also the Mayor of Auburn), who was accompanying the Coo-ees from Wellington to Orange to assist with the recruiting speeches. He was one of three recruits (along with Leslie J. Sullivan), who were driven in to Wellington the next morning to join the Coo-ees. James Taylor completed his medical examination at Wellington on 16th October 1915 (the day the Coo-ees arrived at Wellington. It appears that James Taylor decided to go home to Shadforth near Orange first before joining the Coo-ee March, as written on the top of the first page in his service record is that he ‘Presented himself at Orange 25/10/15’. ‘James Taylor (Shadforth)’ was named with three other men in the Leader on 22nd October 1915 as having ‘volunteered to join in the Coo-ee march as recruits when they arrive in Orange’. He was attested by Captain T. A. Nicholas at Orange on 25th October 1915 (the day the Coo-ees marched from Orange to Millthorpe). After completing the Coo-ee March he went to Liverpool Camp and joined the 15th reinforcements for the 1st Light Horse Regiment. The Wellington Times reported that at a farewell held for Trooper Leslie Sullivan at Bodangora on 7th February 1916, he was entrusted with a ‘fountain pen in a silver case’ to give to ‘Trooper Jimmy Taylor’, who had enlisted with him from Bodangora. The Leader reported that Private Taylor was given a send-off at Shadforth in early February 1916, where ‘he was presented with a gold wristlet watch and a safety razor, as a token of esteem and good will of the people of Shadforth’. On his embarkation roll his address at time of enrolment was Shadforth, via Lucknow, N.S.W. His next of kin was listed as his father, John Taylor, at the same address. On 21st March 1916 Trooper Taylor departed Sydney on the HMAT A26 Armadale with the 15th reinforcements for the 1st Light Horse Regiment. After arriving in Egypt, he was taken on strength of the 1st Light Horse Training Regiment on 24th April 1916 at Tel-el-Kebir. On 15th May 1916 Trooper Taylor was transferred to the Artillery Details at Tel-el-Kebir, Egypt. On 28th May 1916 Gunner Taylor left Alexandria aboard the H.M.T. Corscian, bound for England. He arrived at Plymouth on 12th June 1916. On 29th June 1916 Gunner Taylor left Southampton aboard the tansport Duchess of Argyll, bound for France. He disembarked at Rouen on 30th June 1916. He was attached to the 4th Division Ammunition Sub-Park. He was transferred to this unit on 15th November 1916. On 10th August 1917 Gunner Taylor was sent to the 15th Corps Rest Station with an injury to his knee. He re-joined his unit on 15th August 1917. On 22nd September 1917 Gunner Taylor was granted leave to England. He returned from leave on 4th October 1917. On 8th October 1917 Gunner Taylor was admitted to the 18th Casualty Clearing Station sick. On 11th October 1917 he was sent to the 7th Convalescent Depot at Boulogne, France. On 13th October 1917 he was transferred to the 39th General Hospital. He was discharged from hospital on 10th January 1918, and sent to the Base Depot at Le Harve, France. On 24th January 1918 Gunner Taylor marched out to join the 6th Army Brigade Australian Field Artillery Park Section, which he joined on 27th January 1918. On 27th June 1918 Gunner Taylor was transferred to the 11th Battery 4th Australian Field Artillery Brigade. On 18th September 1918 Gunner Taylor was wounded in action in France receiving gunshot wounds to both thighs. He was moved back to an Australian Field Ambulance, then to the 20th Casualty Clearing Station, where he was placed aboard the 3rd Ambulance Train. He was admitted to a hospital at Rouen on 19th September 1918. On 21st September 1918 he was placed aboard a hospital ship for evacuation to England. On 22nd of September 1918 he was admitted to the Alexandra Hospital at Cosham, England, with a severe gunshot wound to the thigh. On 12th November 1918 he was transferred to the 3rd Australian Auxiliary Hospital at Dartford, England. He was discharged from hospital on 15th November 1918, and granted leave to report to the No. 1 Command Depot at Perham Downs, England, on 29th November 1918. On 14th January 1919 Gunner Taylor left England on the H.T. City of York, bound for Australia. He arrived in Australia on 27th February 1919. He missed a welcome home that had been held for him and another local soldier on Friday evening, 7th March 1919, when ‘many Shadforth and Millthorpe residents assembled at the local railway station’ to greet them both, as he had been ‘detained in hospital’. The Leader reported on 12th March 1919 that ‘Private James Taylor arrived home last week unexpectedly’, and had been ‘in town’ and ‘looks well, although he says he has had some very rough experiences, but, now that he is back, he has no complaints’. He was discharged medically unfit on 9th May 1919. Australia War Memorial. First World War Embarkation Roll, James Taylor, HMAT Armadate A26, 21st March 1916. Per his military service record (Depot), Henry Perry was born at Surrey, England. He gave his age as 44 years, his marital status as single, and his occupation as labourer. His description on his Certificate of Medical Examination was 5 feet 9 inches tall, weight 10 stone 10 lbs., with a dark complexion, blue eyes, and dark hair. His religious denomination was Church of England. He claimed that he had no previous military service. ‘Perry’ was reported in the Wellington Times on 18th October 1915 as one of the men who enlisted with the Coo-ees at Wellington. He completed his medical examination at Wellington on 16th October 1915 (the day the Coo-ees marched from Geurie to Wellington). He was attested by Captain T. A. Nicholas at Stuart Town on 19th October 1915 (the day the Coo-ees marched from Dripstone to Stuart Town). After completing the Coo-ee March he went into Liverpool Camp as reinforcement for the 13th Battalion. Private Perry’s service record reports that he was absent without leave from 18th December 1915 to 12th January 1916. He was discharged services no longer required on 12th January 1916. Per his military service record (Depot), Gordon Robertson was born at Gordon, Sydney, N.S.W. He gave his age as 18 years and 7 months, his marital status as single, and his occupation as labourer. His description on his Certificate of Medical Examination was 5 feet 5 inches tall, weight 8 stone 10 lbs., with a fresh complexion, blue eyes, and brown hair. His religious denomination was Presbyterian. He claimed that he had no previous military service. A telegram from his father J. Robertson filed in his service record gave permission for him to join the expeditionary force. He undertook a preliminary medical examination at Bathurst on 27th October 1915. He was attested by Captain A. C. Eade at Bathurst on 28th October 1915 (the day the Coo-ees marched from Bathampton to Bathurst). He completed his medical examination at Liverpool on 13th November 1915. On 21st January 1916 Private Robertson was charged with being absent without leave on 3rd and 12th January 1916. He was fined 10 shillings. On 16th February 1916 Private Roberston went before a civil court charged with riotous behaviour and malicious damage. He was fined £11/2/6. The Evening News reported on 16th February 1916 that he had been charged at the Sydney Water Police Court with throwing stones at the German Club, and breaking one of the windows, about 8 o’clock the previous Monday night. He was discharged services no longer required on 13th March 1916. Per his military service record (regimental no. 4765), Albert Denzel was born at North Parramatta, N.S.W. He gave his age as 18 years and 5 months, his marital status as single, and his occupation as labourer. His description on his Certificate of Medical Examination form was height 5 feet 7 inches tall, weight 132 lbs., with a fair complexion, grey eyes, and brown hair. His religious denomination was Church of England. He claimed to have 4 years universal military training [cadets] and was still serving. He completed his medical examination on 11th November 1915 at Parramatta, and was attested by Lieutenant R. Howe at Parramatta (the day the Coo-ees marched from Parramatta to Ashfield). A note from his mother Mrs Matilda Denzel in his file gave permission for her son to train in the Imperial Force. On his embarkation roll his address at time of enrolment was Wentworth Street, Parramatta, N.S.W., and his next of kin is listed as his mother, Mrs. M. Denzel, at the same address. On 8th March 1916 Private Denzel departed Sydney on the HMAT A15 Star of England, along with many of the other Coo-ees, with the 15th reinforcements for the 13th Battalion. On 19th April 1916 he was transferred to the 45th Battalion in Egypt. On 2nd June 1916 Private Denzel left Alexandria aboard the transport Kinfauns Castle bound for France. He arrived at Marseilles on 8th June 1916. Private Denzel served with the 45th Battalion through its first action at Fleurbaix, France in July 1916, then through the battles around Pozieres and Mouquet Farm in August, September and October 1916. On 13th January 1917 the 45th Battalion was in the front line in the vicinity of Guedecourt, France, when Private Denzel was charged with neglecting to obey an order of a NCO. He was awarded 28 days Field Punishment No. 2. On 21st September 1917 Private Denzel went to England on leave. On 25th September 1917 he was admitted to hospital with influenza in Edinburgh, Scotland, while still on leave. He returned to the 45th Battalion in France after being discharged from hospital. On 30th November 1917 Private Denzel was detached for duty with the 12th Australian Light Trench Mortar Battery. He re-joined the 45th Battalion on 27th December 1917 whilst it was training at Haut Allaines, France. On 19th August 1918 the 45th Battalion was in the front line in the vicinity of Lihons, France, when Private Denzel participated in an action for which he was later awarded the Military Medal. On 7th September 1918 Private Denzel went on leave to England. He re-joined the 45th Battalion on 24th September 1918, which on that day moved from Assevillers to Pissy, France. On 29th December 1918 he was appointed as a temporary driver. On 23rd February 1919 Temporary Driver Denzel left the 45th Battalion for the Australian Base Depot at Le Harve, to commence his return to Australia. On 13th March 1919 he departed Le Harve, bound for England. He arrived at Weymouth on 14th March 1919, and marched into the No. 4 Command Depot at Hurdcott, England. On 12th April 1919 Temporary Driver Denzel was admitted to the 2nd Camp Hospital for observation. He was discharged on 14th April 1919. 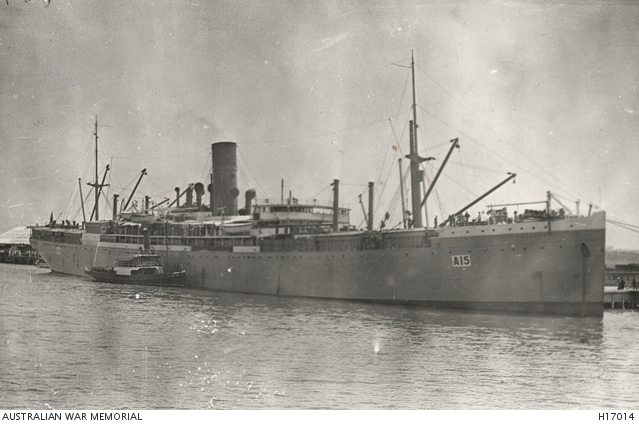 Temporary Driver Denzel departed Devonport aboard the Transport China on 1st May 1919. Notification of Private Denzel’s Military Medal award was gazetted in Second Supplement No. 31338 to The London Gazette, 13th May 1919 (page 10585), and was also published in the Commonwealth of Australia Gazette, No. 109, dated 15th September, 1919. He arrived in Sydney on 11th June 1919. He was discharged Termination of Period of Enlistment on 26th July 1919. Australia War Memorial. First World War Embarkation Roll, Albert Denzel, HMAT Star of England A15, 8th March 1916. Australian Imperial Force unit war diaries, 1914-18 War, AWM4 Subclass 23/62 – 45th Infantry Battalion, AWM4 23/62/11 – January 1917. Australian Imperial Force unit war diaries, 1914-18 War, AWM4 Subclass 23/62 – 45th Infantry Battalion, AWM4 23/62/22– December 1917. Australian Imperial Force unit war diaries, 1914-18 War, AWM4 Subclass 23/62 – 45th Infantry Battalion, AWM4 23/62/30 – August 1918. Australian Imperial Force unit war diaries, 1914-18 War, AWM4 Subclass 23/62 – 45th Infantry Battalion, AWM4 23/62/31 – September 1918. Per his military service record (regimental no. 2217), Alfred Fletcher Mclean was born at Coonamble, N.S.W. He gave his age as 19 years and 10 months, his marital status as single, and his occupation as farmer. His description on his Certificate of Medical Examination was 6 feet tall, weight 12 stone 10 lbs., with a dark complexion, brown eyes, and dark brown hair. His religious denomination was Presbyterian. He claimed that he had previous military service as a Corporal in the 42nd Infantry. The consent of both his parents was given on his initial Application to Enlist in the Australian Imperial Force form dated 11th October 1915. He completed medical on 12th October 1915 at Orange, and was attested at Orange on 12th October 1915. ‘Alfred. F. McLean’ was named in newspaper reports as one of the men who was recruited to join the Coo-ees when they arrived in Orange on 24th October 1915. After completing the Coo-ee March he went to Liverpool Camp as reinforcement for the 7th Light Horse Regiment. He was charged with being absent without leave on 7th February 1916. On his embarkation roll his address at time of enrolment was Cranley, Bloomfield, via Orange N.S.W., and his next of kin is listed as his father, James Fletcher McLean, at the same address. ‘Trooper Alf McLean’ was presented with a wristlet watch by his friends at Bloomfield, prior to his departure back to duty on Monday night, 6th March 1916, when on final leave. On 11th March 1916, along with fellow Coo-ee Private Joe Billing, he departed Sydney on the HMAT A67 Orsova with the 15th reinforcements for the 7th Light Horse Regiment. He arrived in Egypt on the 14th April 1916, where he was taken on strength in the 2nd Light Horse Training Regiment at Tel-el-Kebir. Two days later Trooper McLean was admitted to the Government Hospital at Suez, Egypt, with mumps. He was discharged to duty on 16th April 1916. He re-joined his unit on 19th April 1916. On 25th May 1916 he transferred to Artillery Details at Tel-el-Kebir, Egypt. On 28th May 1916 he left Alexandria on the HMT Corsican, bound for England. He disembarked at Plymouth on 12th June 1916, for further training. On 16th July 1916 Gunner McLean was admitted sick to Tidworth Hospital at Bulford, England. He was discharged from hospital on 25th July 1916 to the Australian Artillery Training Depot at Parkhouse, England. On 26th October 1916 he was transferred to the 22nd Field Artillery Brigade (117th Howitzer Battery) at Boynton, England. On 31st March 1917 Gunner McLean marched into the Reserve Brigade Australian Artillery at Larkhill from Boynton. On 11th April 1917 Gunner McLean proceeded overseas to France on a transport from Folkstone, England. He disembarked in Etaples, France, on 12th April 1917. He marched out to the 2nd Division Artillery on 17th May 1917. He was taken on strength of the 2nd Divisional Artillery Column the next day. On 3rd July 1917 he was sent to the 7th Australian Field Ambulance with a hernia. He was admitted to the 56th Casualty Clearing Station the next day. On 7th July 197 he was admitted to the No. 3 Canadian General Hospital at Boulogne, France. On 9th July 1917 he was moved to the No. 25 General Hospital at Dannes-Camiers, France. On 27th July 1917 Gunner McLean was evacuated to England on the Hospital Ship Jan Breydel. On 28th July 1917 he was admitted to the County of Middlesex War Hospital with a slight hernia. He was given leave from 17th September 1917 to report to the No. 2 Company Depot at Weymouth, England, on 1st October 1917. On 26th October 1917 Gunner McLean was promoted to Corporal. On 27th October 1917 Corporal McLean marched out to No. 3 Company. On 19th January 1918 he marched out to the Overseas Training Brigade. On 5th March 1918 he marched out to the Reserve Brigade Australian Artillery at Heytesbury, England. On 13th March 1918 Corporal McLean proceeded overseas to France from Southampton. On 14th March 1918 he marched into the Australian General Base Depot at Rouelles, France. On 17th March 1918 Corporal McLean marched out to the 2nd Divisional Artillery Column. Corporal McLean served with the 2nd Divisional Artillery Column in France until 11th August 1918, when he was wounded in action in the vicinity of Warfusee-Abancourt, with a gunshot wound to his neck. He was sent to the 5th Australian Field Ambulance. On 12th August 1918 he was admitted to the 55th Casualty Clearing Station. The next day he was admitted to the No. 11 Stationary Hospital at Rouen, France. On 19th August 1918 he was evacuated to England on a hospital ship. He was admitted to the Bath War Hospital on 20th August 1918. On 16th September 1918 Corporal McLean was transferred to 3rd Auxiliary Hospital at Dartford, England. On 20th September 1918 he was discharged from hospital to Littlemoor Camp at Weymouth, England. On 25th October 1918 he went on leave, to report to No. 1 Command Depot at Sutton Veny on 12th November 1918. On 13th November 1918 Corporal McLean marched out to No. 2 Command Depot at Weymouth, England. On 26th November he marched into No. 1 Command Depot. On 14th January 1919 Corporal McLean commenced his return to Australia on H.T. City of York, for medical discharge. He disembarked in Sydney on 5th March 1919. He was one of four local soldiers who was welcomed home to Bloomfield on Saturday night, 29th March 1919, where there was ‘a very enthusiastic gathering of about 250 of the residents to do honor to the boys’, with a ‘musical programme contributed to by all the local talent, but largely choruses of school children’, which was ‘followed by speeches of welcome and a first class supper’. Australian War Memorial. First World War Embarkation Roll, Alfred Fletcher McLean, HMAT Orsova A67, 11th March 1916.